The organisers of the 18th Sedona International Film Festival in Arizona have installed a Meyer Sound EXP cinema loudspeaker system into their 120-seat Mary D. Fisher Theatre in preparation for this year’s event. The festival—which is currently taking place from February 18th to 26th—will see 145 films screened over the course of the week. The event takes place across a series of arts venues sited across the city of 10,000. This includes the Harkins Theatres, Sedona Performing Arts Centre, Sedona Rouge theatre and the Mary D. Fisher Theatre. It is in the intimate 120-seater Mary D. Fisher Theatre—which is a former bank building—that the Meyer Sound EXP system has been installed. The DCI-compliant 7.1 surround system installed at the West State Route 89A venue includes Meyer Sound’s Acheron Studio screen channel loudspeakers, X-800C high-power cinema subwoofers, HMS-10 cinema surround and UP-4XP loudspeakers. 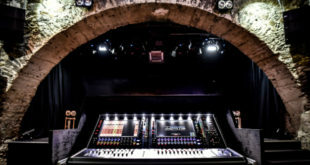 The installation also includes a Galileo loudspeaker management system with a direct digital connection to a Dolby CP650 cinema processor. The Acheron Studio loudspeakers are a compact version of the Acheron 80. They are specifically made for small theatres and retain the 38Hz to 17kHz frequency response of their bigger brother. 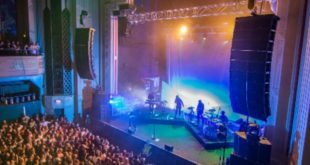 The venue’s new audio system supports the DCI-compliant visual tech installed. This includes a Barco DP2K-23B projector, Da-Lite perforated screen and a Doremi ShowVault server. The Mary D Fisher theatre also doubles as a multi-purpose performance venue. Both the screen and the behind-screen loudspeakers are designed to be easily removed by the theatre’s staff. What is more, the theatre also has a separate performance PA comprising of two Meyer Sound UPJ-1P VariO loudspeakers and 500-HP loudspeaker. This means the venue can be used to accommodate a variety of activities including lectures, acoustic music ensembles and stand-up comedians as well as film screening. The installation was coordinated by Cave Creek, Arizona-based Technically Integrated. The audio design was handled by the company’s President, Toby Payne. The installation itself was finalised under the supervision of the company’s Vice President, Jared Payne. Toby Payne has been a long-time consultant for the festival. Payne informed Schweiss that the Galaxy venue of the Telluride Film Festival in Colorado used the Meyer Sound EXP system. It was this little snippet of information that persuaded Schweiss that to choose the EXP system for the Mary D. Fisher Theatre would be perfect. The Mary D. Fisher Theatre will present Sedona International Film Festival films throughout the course of the year. The Meyer Sound EXP systems—which has been created exclusively for cinema applications—have been installed in commercial cinemas across North America, Europe and Asia. 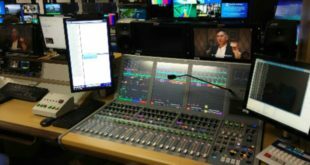 What is more, increasingly EXP monitoring system are being installed in post-production facilities for film sound professionals. Notable such facilities are Skywalker Sound, Wildfire Studios, and American Zoetrope in California, as well as at De Lane Lea in London.